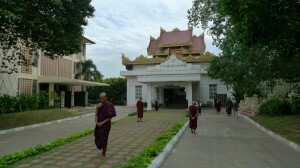 President of BSNO Mahasi Centre, U Tint Soe Lin greeting foreign yogis before their retreat. 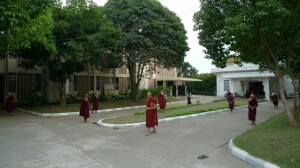 Group Dhamma Training Session for foreign yogis during their retreat at MSY. 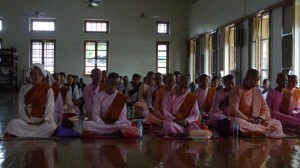 Group Dhamma Training session during the retreat in the main meditation Hall, MSY. 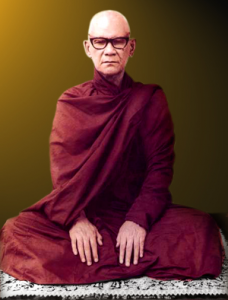 Foreign Yogi Retreatants and Meditation Teachers Jan-Feb 2016, MSY. 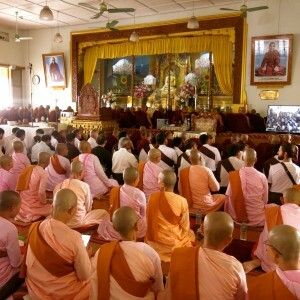 Foreign yogis paying their respects to Ovadacariya Sayadaw U Jatila upon his passing away, Jan. 2016. 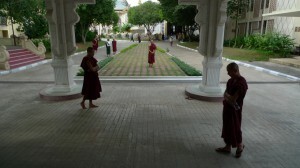 Foreign Yogis continuing their practice in the main meditation hall after during a break time. 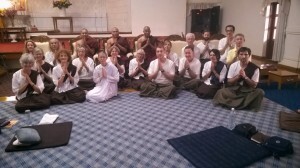 Foreign yogis at the Mahasi Lodge at the end of their retreat at MSY. 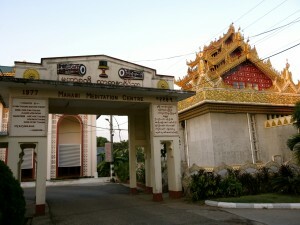 Entrance to Main Meditation Hall for Special Retreats for Men and Women English Speaking Yogis at Mahasi Sasana Yeiktha, Yangon. 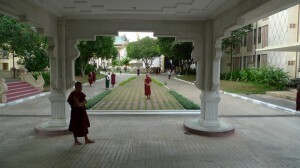 Burmese Nuns and Yogis in dinning hall mindfully eating their lunch in silence. 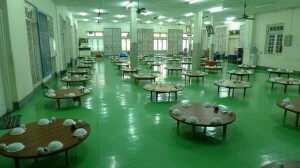 A few of the deva-like Kitchen Staff and Cooks at MSY, Yangon.